Water can seriously damage your home, and that moisture can get into your house in a number of different ways. Water can seep into your home through cracks in the basement walls or the foundation and it can also come in through your window wells. The window wells located around your home can permit rain and moisture from the soil to enter your home, and once that moisture is in your house, it causes mold and mildew to form, or even threatens the structural integrity of your house. Check the water drainage around your home. Check the condition of the sump pump and the drainage tube running from the window well to the sump pump pit. Replace the sump pump or drainage tube if either one is damaged. Use a domed cover made of mesh to cover the drainage tube where it sticks up from the window well. This helps to prevent leaves and other debris from clogging the drainage tube and causing backups. 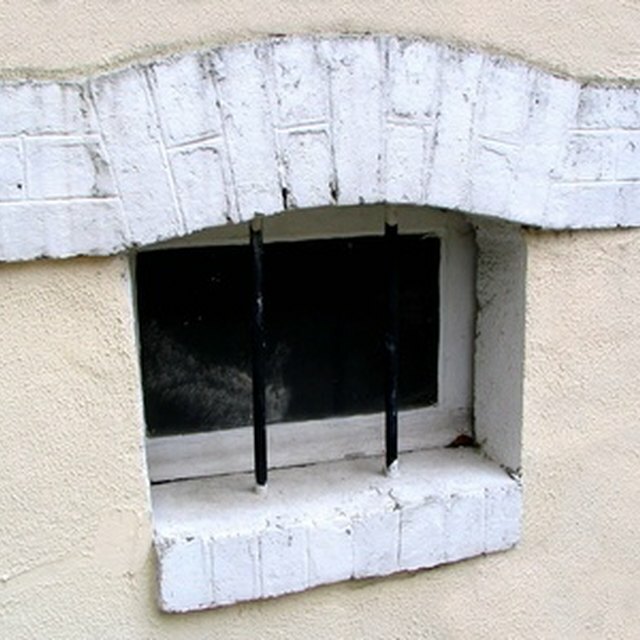 Caulk the sides of the window well if there is not a secure seal between the window well and the concrete sides where the window well is installed. Check the area around the window well after every rain to ensure that no water is leaking around the sides of the window well. Apply another layer of caulk if you detect any leaks. Place a window-well cover over each window well around your home. Choose a design that is easy to remove from the inside in an emergency. Check and clean your gutters and downspouts on a regular basis to prevent the backup of water around your home. Replace any worn out gutters or downspouts with new models.